Is your nail salon covered? Your clients receive more than simple manicures and pedicures from you; providing an experience for them will establish your nail salon’s reputation, and the correct nail salon insurance will help you sustain that business. Businesses like yours have singular risks; the right type of nail salon insurance could make all the difference in case there is an injury or accident in your salon. The highly personal nature of manicures and pedicures–services centered on a client’s appearance–sometimes means that the perception of the injury or damage can be intense. You may never have to face a claim from an injured client, but in the event that it does occur, you want to be sure that the proper nail salon insurance coverage has been put into place. A General Liability Policy covers damages from injury to clients or visitors to your salon. It’s a foundational coverage for businesses, either as a stand-alone policy or part of a “BOP”; a Business Owner’s Policy, which combines General Liability with Commercial Property Insurance and Business Income Insurance, two coverages which could be vital points in your nail salon insurance package. Operating a nail salon takes a lot of your time, and the search for insurance can seem daunting if you’re not sure what to expect when you begin contacting providers for quotes. Don’t let that cause you to delay; knowing what kinds of questions to expect should help you be prepared, and will hopefully forestall some of the dread that can keep you from finding good rates before your current policy renews, or allowing your open date to arrive before you find the best possible nail salon insurance for your situation. Do You Have Employees or Contractors? Employee status matters when it comes to your nail salon insurance. Do you have only contractors working for you? Full or part-time employees? Do you charge booth rent? What Services Do You Offer? Only manicures and pedicures? Do you need coverage for things like massages or other aesthetic services in your nail salon insurance policy? What Kind of Equipment Do You Use? Are you seeking a nail salon insurance policy that will cover chairs, implements, and possibly your company’s computers and client files in case of loss? Your salon’s revenue, location, and whether you own or rent your building are also important considerations, but a quick and reasonably easy quote for nail salon insurance is only minutes away. Click here or call us today at 1-877-907-5267 to speak with one of our specialists about your nail salon insurance needs. When searching for painting insurance for your business, you may find that you’re asked to be specific about the type of painting that you do. 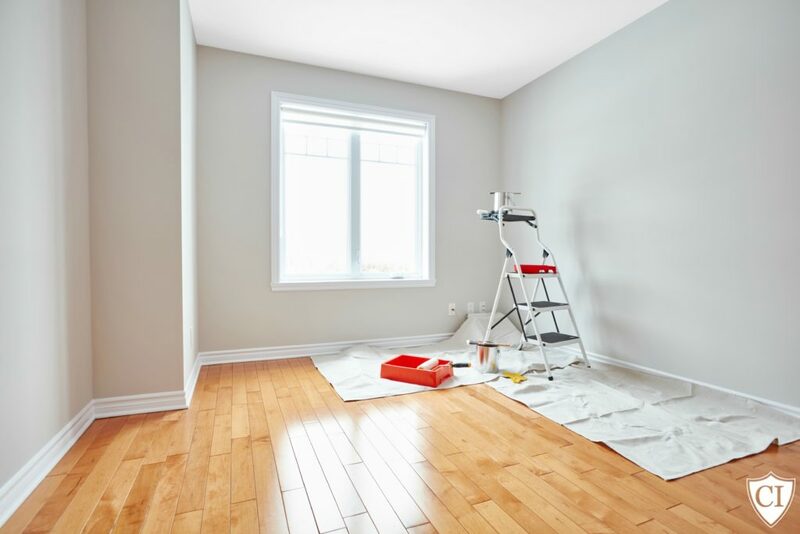 This isn’t meant to be a limiting line of questioning; painting insurance is simply geared towards the type of painting being done, and as a painter, you know that interior and exterior painting can be very different pursuits…they also have very different risks. Is your painting business covered? Exterior Painting. 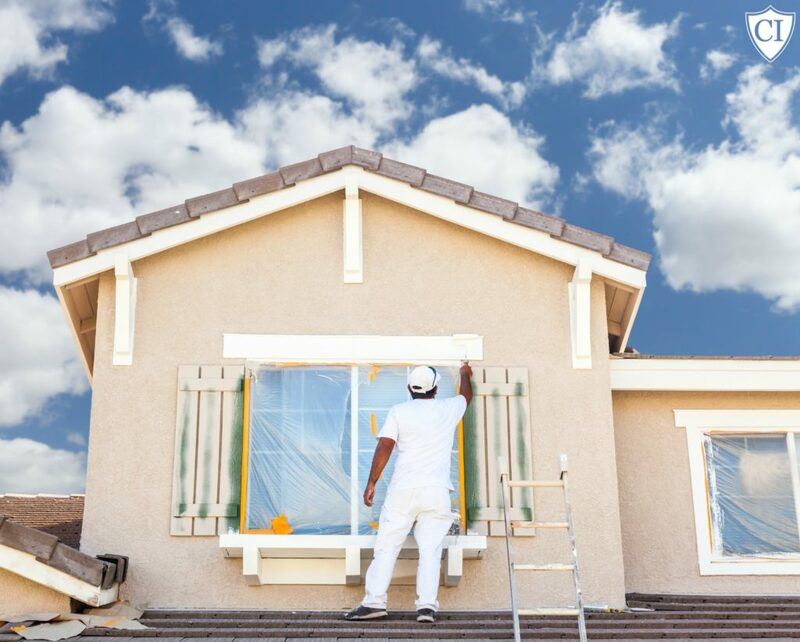 One example of the questions you’ll be asked as you seek out a quote for painting insurance for outdoor painting is, “How high up do you go?” It should be obvious that the reason for this is that you (or an employee) can fall as far down as you go up. Risk assessment is a big part of determining the extent of your needs, and the questions you’re asked are to determine the scope of your exposures. Interior Painting. Any contracting done inside a home or place of business poses unique risks, and interior painting is no exception. No matter what the skill level of a painter is, accidents happen, and the surroundings they happen in can make a big difference in the type of insurance coverage you require. Whether or not you engage in mostly residential or commercial interior painting will make a difference in the painting insurance that will best suit you. The method of painting you utilize will come up, as well; whether or not you use brushes or spray guns has an impact on the type of coverage you need. Talking to an experienced insurance professional who understands your business is key. Preparing for the questions you’ll be asked (“How many employees do you have?” “What are your annual gross receipts?”) will streamline the process and help you determine which plan fits your needs. Call us today at 1-877-907-5267 for a painting insurance quote for your business, or click here for a free, quick, competitive quote. Make sure your General Contracting business is covered, even if the worst happens. As a general contractor, you probably have a knack for balancing the big picture while still paying attention to detail; when it comes time to consider your general contracting insurance policy, it’s a good idea to apply that same organizing eye to your company’s risk management strategy. Like the spectrum of construction jobs out there, insurance can be seen in terms of scale. Someone starting out who is trying to keep costs low may opt for a basics-only insurance policy geared towards general contractors. General Liability is a coverage that protects you in the event of injury or damage to a third-party; it’s a requirement from most entities when you enter into a contract, and you’ll want to be sure that your insurance provider can readily assist you if you need to add Additional Insureds to your policy, or provide Certificates of Insurance as proof of your coverage. If you have employees, you’ll need to be familiar with your state’s laws concerning Workers Compensation, which provides health benefits to your employees for work-related injuries. It can also prevent you from being sued in the event of such injuries, and many states require it–even if you only have one worker, you need to understand your obligations and risks. Familiarize yourself with your state’s laws, and make sure the insurance professional you hire is knowledgeable and experienced. These policies cover the most important aspects of your general contracting business, but think of your overall risk management plan in the same terms many people think of when it comes to construction. Cost is always a consideration, but relying on a patch job or minimal repair for too long can end up being more expensive in the long run, if the situation ultimately needs more attention. Inland Marine. Your tools are the mainstay of your general contracting business, and insuring them could mean the difference between losing and keeping a job, if they’re damaged or stolen. Commercial Auto. Using vehicles in the course of your general contracting business means opening yourself up to risk, if they’re involved in an accident or stolen. Insuring them is another facet to protecting your business. Property Insurance. This is important if you have a physical location, an office, and equipment kept there. General contracting is more than simply building; it’s organizing contracts, client info, and maintaining records. Protection for your data and off-site equipment can be as important as securing your tools and vehicles. The worst case scenario answer to the question, “What’s the worst that could happen?” regarding an event with your general contracting business, is that while some occurrences are small, and could be paid off without putting a huge hole in your budget, there is always a good chance that being underinsured could mean being seriously underprepared for a major happening with the potential to put you out of business for good. Not every business has the same risks, but you don’t want to rely on guesswork when it comes to your livelihood. Don’t leave your insurance coverage at the level of a “patch job”; contact us today at 1-877-907-5267 to get help crafting a risk management plan to fit your general contracting business, or click here to start the process of getting a quick, free quote within minutes.